Today being augured as a good planting day for root crops, and the weather was quite nice, the husband and I planted carrots, onions, radishes, snow peas, and garden peas. If conditions remain favorable we'll have an early crop. If not, we start over. Had a granddaughter home sick today, sounds like the same URI that plagued Tai earlier in the week, a deep mucous filled cough and general malaise. She slept most of the afternoon and is now feeling a bit better. She's certainly well enough to eat. That's always a good sign. Fingers crossed that we get some rain soon, sure is dry out there. 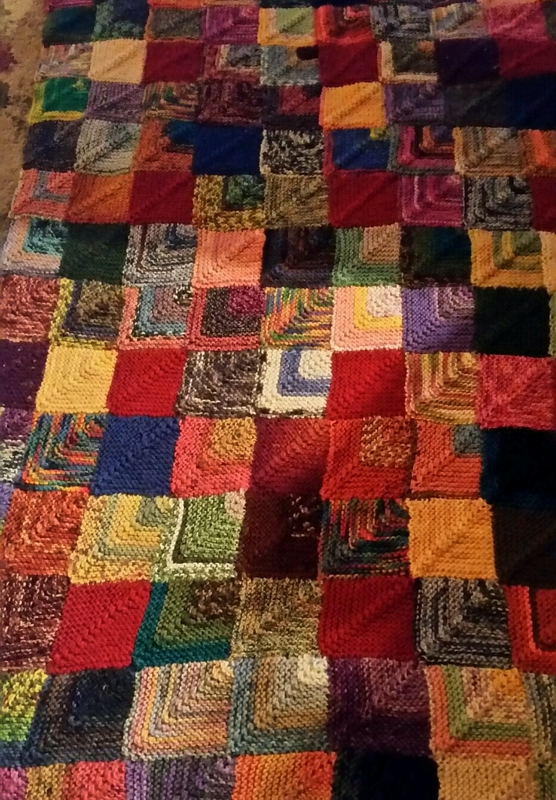 Worked on the pincushion project today and added two more squares to the afghan, didn't have to cook..yeah me! Appreciate a relatively pain free planting experience. I love raised beds. Thanks, i better get to knitting.